ZAMBOANGA CITY, Philippines (Mindanao Examiner / May 8, 2011) – The Young Moro Professional Network in Western Mindanao and the Western Mindanao Overseas Workers Association are holding a free training workshop on Web Development in Zamboanga City in the southern Philippines. The training is set on May 28 and participants are required to bring their own laptop for file resources sharing and hands-on exercises. The workshop is limited to participants per organizations, said Amir Mawalil, of the Young Moro Professional Network. 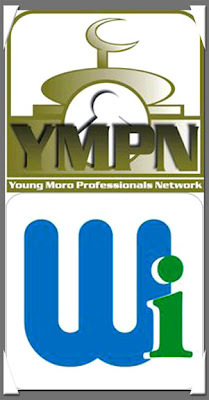 The Young Moro Professionals Network, founded in 2000, is a non-governmental organization composed of young Moro professionals advocating peaceful means to improve the socio-economic well-being of the Bangsamoro people. Many members of the network are largely employed in government and private sectors both locally and abroad. Its founders envisioned a network of young Muslim professionals that promote volunteerism; using their own resources, talents, education and training, and working collectively or individually to help other Muslims in unfortunate circumstances. While the Western Mindanao Overseas Workers Association was founded in 2002 in Riyadh in Saudi Arabia by Moro professionals. It has recently launched "Tools for Knowledge,” a community outreach program that donates Quran, reference books and school supplies to beneficiaries in Western Mindanao.